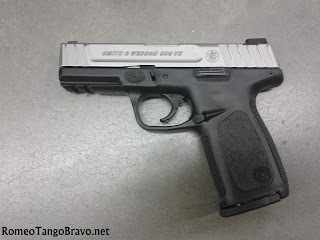 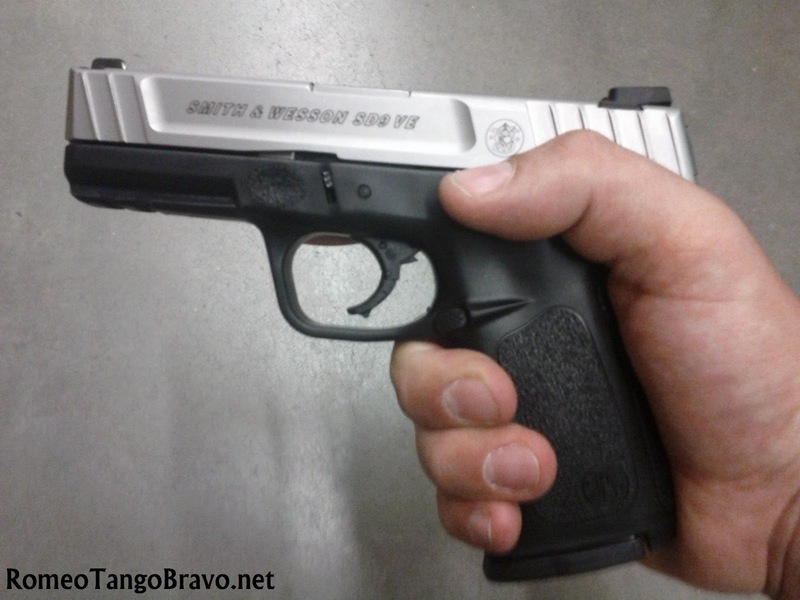 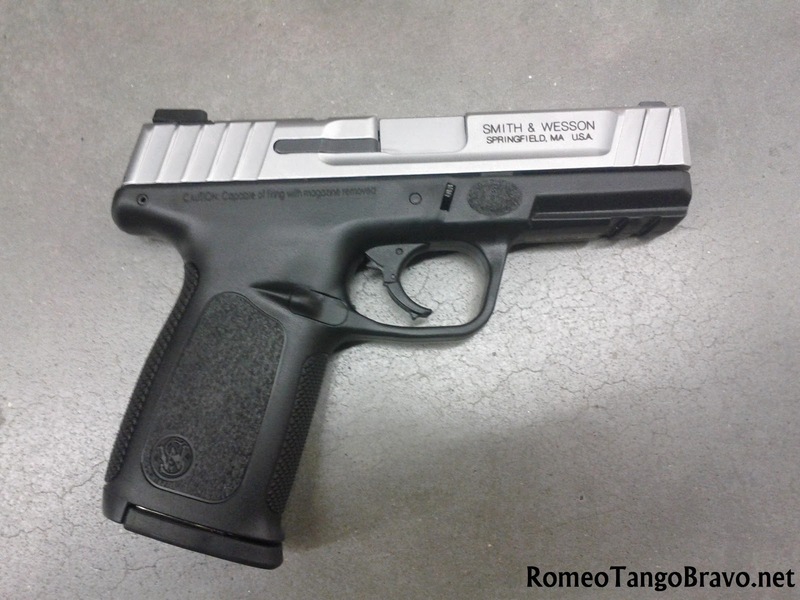 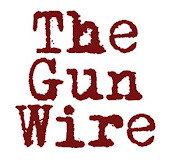 RomeoTangoBravo: Smith & Wesson SD9 VE Hits the Shelves! 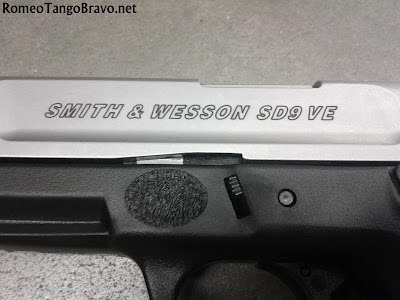 The SD9 VE is essentially a SD9 with a few changes. The slides of the SD9 VE will be stainless steel making them a two-tone gun. 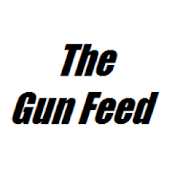 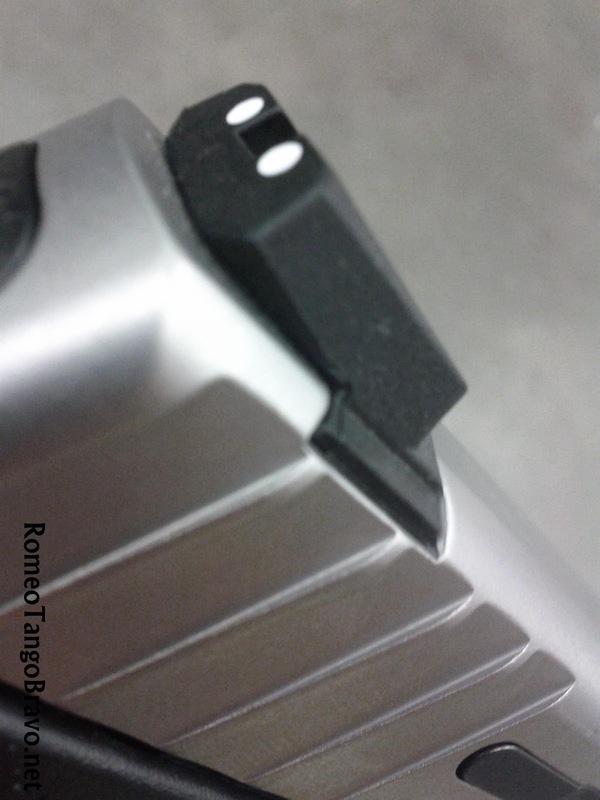 The sights are polymer 3-dot instead of steel sights with a front Tritium sight.